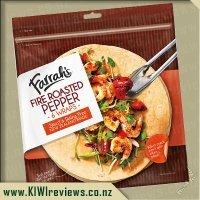 Farrah&apos;s soft flame baked flour tortillas filled with tasty chicken, capsicum and onion cooked in a mild spice mix of cumin, smoked paprika and other tasty herbs and spices. Roll them up and drizzle over the sauce for a winning family fiesta! Wheat flour, water, vegetable oil [with antioxidant (307)], dextrose, salt, emulsifier (471), rice flour, raising agents (500, 450), preservatives (282, 200), acidity regulator (297), stabilisers (466, 415), enzymes. Contains gluten. 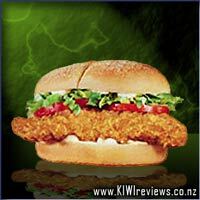 This product is manufactured on equipment that also produces product containing soy and sesame seeds. Tomato (77%), onion, green pepper, cider vinegar, garlic, canola oil, corn starch, sugar, salt, chipotle, spice, herb. 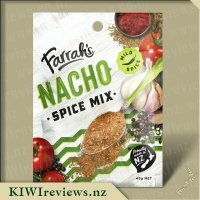 Spices (28%) (cumin, coriander, smoked paprika, black pepper), rice flour, tomato, sugar, sea salt, maize flour, worcestershire sauce powder (maltodextrin, vegetable protein extract, vinegar, molasses, spices, vegetable oil), garlic, onion, natural flavours, parsley, citric acid, hickory smoke flavour. Mexican food is a guaranteed success in our house. In particular, fajitas are always bound to please, with each family member being able to fill wraps with their favourite combination of ingredients. However, with a newborn and a toddler, as well as general day-to-day life, we have been seriously lacking in time, particularly for cooking. 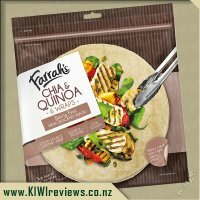 That is why, when these Farrah� ™s fajita meal kits came up for review, I couldn� ™t resist the chance to give them a try. The kit contains all of the spices and sauce which you need to create a beautiful meal, alongside the tortilla wraps to contain them. All that you will need to add your meat of choice, veggies and salads. The kit box itself is really helpful, giving a suggested recipe to follow, and all of the ingredients which you need to prepare it. If you picked this up at the supermarket it would be really easy to know exactly what you needed to make your quick weeknight dinner. When you open the pack, the contents are all well labelled and easy to use. 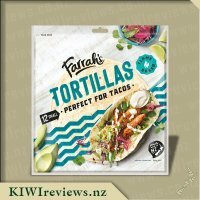 The tortillas, as you would expect from Farrah� ™s, are so soft and will not crack, no matter how tight you roll them (my daughter tested this very well!). Using the spice mix and sauce is really easy. We chose to use them with chicken, veggies and some salads using the recipe from the back of the pack. The result was delicious - a family-friendly level of spice, but huge flavour. 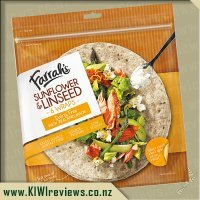 Our whole family approved of the wraps, and even went back for seconds of the veggies which was quite a revelation. The portion sizes allowed were generous, and plenty to feed our hungry family, as well as having leftovers for lunch the next day. Overall, these kits are fantastic. The exceptional level of quality which you expect from Farrah� ™s, with a delicious taste which will leave the whole family coming back for more. 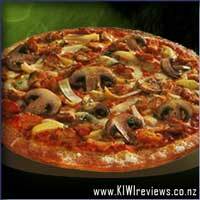 The price, for the convenience and time-saving afforded, is fantastic, and the portion sizes are very generous. Overall, we loved this kit, and we will definitely be using it again. 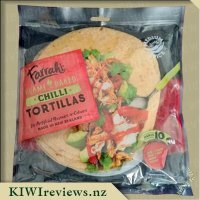 A fantastic product for a delicious, fast and family-friendly Mexican feast. 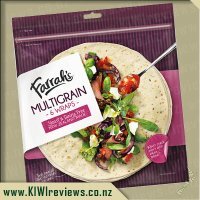 Farrah� ™s have once again created a product which makes Mexican accessible for everyone - well done! 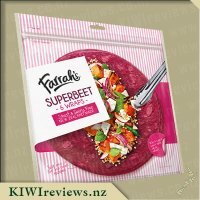 I was so excited when these arrived in our review pack, as my family is a huge fan of wraps, and it had been a particularly busy day so the task of not needing to worry about what to cook for dinner was greatly appreciated! The meal kit has a lovely coloured picture of the intended meal that looks delicious, so our hopes were high for a yummy meal. Miss twelve volunteered to take task of preparing the meal, and she hunted through the fridge for the right ingredients, we had chicken breasts ready to go, and then she substituted a few things, courgettes instead of peppers, and she added in some tinned tomatoes. One of the first things I noticed was the ease that she had in preparing and cooking the meal, it was a quick, healthy and delicious dinner, that was &apos;child&apos;s play&apos;. I asked her for her feedback and she told me, these were very quick and easy to make, and they tasted so good. This was a sentiment that the whole family echoed, "these taste really good!" Half the family used the sauce, and half didn&apos;t, and this was one of the things I liked about this kit, it was easy to personalise it to each person&apos;s taste preferences. 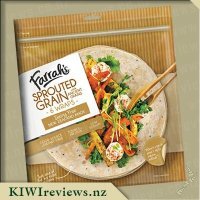 The packs have a generous amount of spices in them, we found we only used half, and this meant we simply needed to purchase another pack of Farrah&apos;s wraps for a second delicious dinner. The second time we made these we followed the recipe and it was another tasty meal, that was simple to prepare. 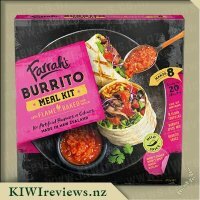 These meal kits are a brilliant meal base, there is no need to be bound by the recipe, we had great results with &apos;what we found in the fridge&apos; as well as when we followed the recipe, wraps offer an almost endless list of meal possibilities. 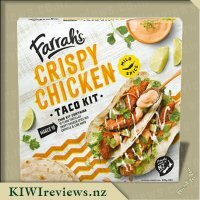 We haven&apos;t tried these with steak yet, as we are more of a chicken family, but my eldest daughter is a vegan, and she has tried these with vegetables only, and she was delighted that she could purchase a meal kit that is suitable for vegans. I will definitely be recommending these to other families to have in the pantry as a staple, as a go to, easy, and healthy meal, which also full&apos;s up a hungry family. Any meal that can be on the table with in half an hour is a winner in my eyes. 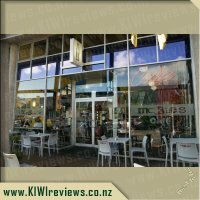 We are all over the place at the moment with after school activities, Christmas parties, end of school functions and just the busyness of the season that leaves me on some days not knowing if I am coming or going. Meals seem to be a blur as they need to be fast and on the table in the blink of an eye. The past two nights we have not eaten till 8pm which is a huge issue when you have a 9 year old and a 7 year old. So tonight after ballet class we decided to put this to the test. My youngest daughter is on a huge Mexican kick as her class room is learning about the country as there in class topic. They have a young man from Venezuela in the class and they have been learning about his country and Mexican food. When I told her we were having this she squealed in delight and asked if she could help make it. Actually the preparation is rather simple that realistically her and her sister could probably make it without much help. Dice the chicken up and then place in a bag and coat with the Spice Mix. Fry in a pan and then add the onions and capsicum. Next heat the Tortillas on the grill to give that nice brown mark. Then make a quick salsa with red onion, tomato and avocado and grate some cheese and its basically made. 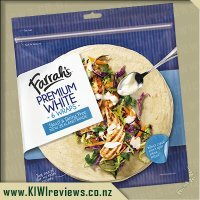 Place all the ingredients in the wrap and add some sour cream and the Fajita Sauce and stand back and admire your work. Extremely simple! With eight Tortillas in the kit it works out two a person and I found them to be extremely filling. Everybody really enjoyed them and we all agreed we would happily have again. It was nice and easy and very fast and if I got both of the girls helping me next time I am sure we could probably do much quicker. I am not usually one for the sauce they put in the boxes but I found I did enjoy this sauce and did not mind the spice to it. I also liked that the wraps stay intact and do not crack or break as your twist and fold them. A nice alternative to Nachos or Taco and something I am sure we will be having again in the very near future. Ever since I can remember I have always enjoyed Mexican cuisine, especially enchiladas and fajitas. I like how Mexican food uses lots of spices to tantalize the taste-buds, and generally the meal lets each individual customize their meal to their own flavour preference. 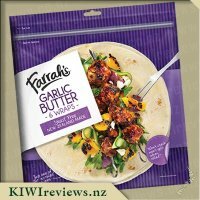 Before joining KIWIreviews I was aware of the brand Farrah&apos;s, but honestly hadn&apos;t used many of their products. 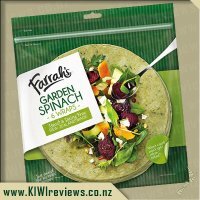 Since becoming an active reviewer and requesting products, Farrah&apos;s has quickly become a favourite company. 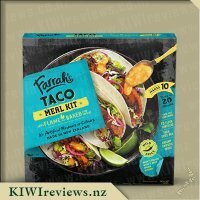 I saw a new Farrah&apos;s meal kit was available to request, I quickly put my request in and crossed my fingers, to my relief I was lucky enough to receive a kit. The appearance of the box is very striking, the bright orange really catches your attention. The box states that the kit makes 8 fajitas and was a mild spice, the serving suggestion looks mouth-watering. When it came time to make dinner I had decided that I would use mince instead of chicken, because I had forgotten to buy chicken on the groceries. I started by reading the directions on the back of the box, I proceeded to coat the mince with some oil and the Fajita Spice Mix. The aroma that wafted up to my nostrils once the mince started cooking was scrumptious. The meat didn&apos;t take long to cook so I added my red onion and red capsicum and cooked through. After a few minutes when it was ready, I removed the mixture from the heat and started to heat up the tortillas, I found that it did not take very long for the tortillas to start to change colour, at one point one got a large bubble. Once all 8 had been heated I started to assemble the fajitas. For each fajita I placed a tortilla on a plate, placed a generous amount of the meat and vegetable mixture on top, I then sprinkled some grated cheese on top, and finished with some of the Fajita Sauce. On the box there is a statement saying the tortillas &apos;won&apos;t crack, or split when rolled&apos; I was skeptical especially when it came time to roll up. I didn&apos;t need to worry as these tortillas are some of the strongest I have used. 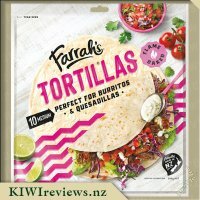 After my first mouthful I was sold on how good this kit is, the tortilla is the right thickness and doesn&apos;t taste floury, the mince mix was a good level spiciness and my children enjoyed it too. 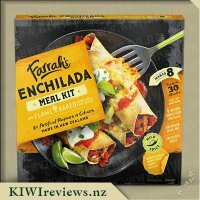 I recommend this kit to lovers of Mexican or spicy food, this kit is fantastic for a quick, no hassle meal. 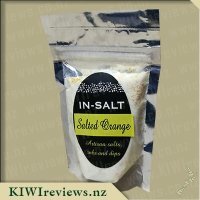 I will be purchasing more of this product in the future, and recommending to family and friends. Our family love mexican food and will have something mexican style most weeks whether it be tacos, or nachos, or enchiladas there will be something on the weeks menu. Fajita&apos;s are something I have tried when eating out but never made myself at home. The spices from what I remember are similar to that of burritos but with a milder flavour and a great salsa style sauce. 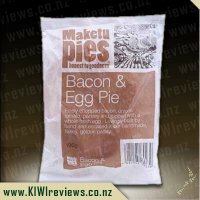 I was excited to receive the kit to see just what they would taste like making them at home. When I opened the meal kit I was disappointing to find that I had not received the fajita spice mix, the box only contained the wraps and the fajita sauce. 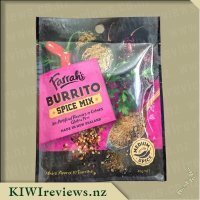 I had been checking out the packaging before opening so know it was completely sealed before I had opened it so the fajita spice had been missed out of the packaging during production. I managed to find some ideas for a spice mix by reading the ingredents list on the box so made a basic mexican spice mix myself to use with the chicken so probably not a completely authentic fajita spice. 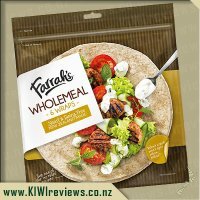 As with other farrah&apos;s meal kits the instructions are simple and clear making the meal kits a great choice for an easy no fuss dinner for a busy family. 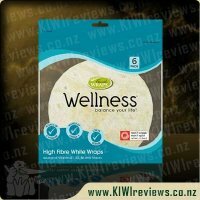 The wraps as always are fresh and soft so don&apos;t tear when you wrap them with the fillings. 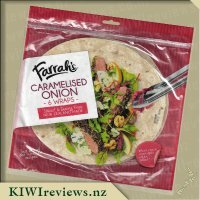 They are smaller wraps than what you get in the individual packets of wraps but a good size for sharing dinners like fajita&apos;s. I loved the meal suggestions on the packaging to change things including a beef option and some extra condiments like guacamole and sour cream. I would defintely buy another kit to try the other options! 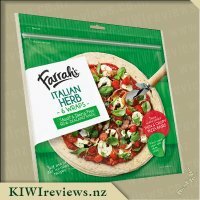 I think the kits are a good price as you only need to buy the meats and salads to have a complete meal although some weeks unfortunately for us this would be out of price range as buy the time you buy the extras its a $20 plus meal.I would definitely buy in future and have bought others in the farrahs meal kits range, they are a good quality kit with a much better flavour than other brands. 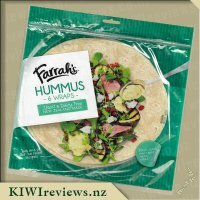 I also love that they are NZ brand and use natural ingredients. 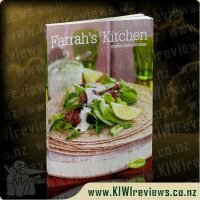 Farrah&apos;s Mexican Fajita Meal Kit was a hit in the household and everyone commented about how amazing tea was and if we can have it again. 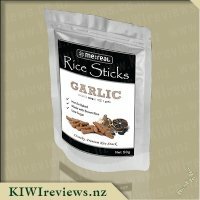 I was excited when I got my KIWIreviews box and seen this as I had chicken out for tea but I was not sure what I was going to cook with it. So it was prefect timing when this showed up. 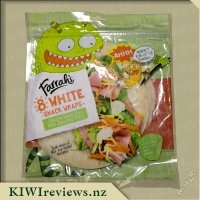 My son asked me if he could help and he said it was really fun to make, he helped with cutting the veges and also shaking the chicken and mix in the bag which smelt amazing the flavouring. We added a bit of extra vegetables like mushrooms an radishes. I put all the chicken in the pan and cooked it half way through and then added the veges on top. I loved the smell it brought to the kitchen. Once this wad all cooked I cooked of the wraps for ten seconds on each side. I also made a avo and tomato salsa and also sour cream with coriander. I laid some chicken and vege mix on the wraps with some avo and tomato salsa and also sour cream and wrapped them up. We all had one each and went back for seconds. The boys went back for thirds. 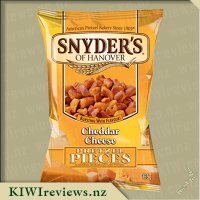 I will be buying this again for the family and we will be telling friends about the yummy product as well. 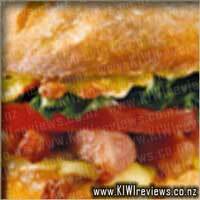 It goes down a treat and is so quick and easy to make. I love this and the price is great as well. Quick easy cheap and yummy what more could you ask for. I love strong flavours. If there is a spice packet, I will use it all. If there is a sauce packet, I will use it all. If I have a wrap, I will pack as much inside as possible. 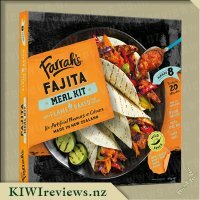 For those reasons, the Fajita meal kit is not the best product for me. The amount of portion control needed here is quite major. Using the 450 grams of sliced chicken breast recommended, I ended up using all of the Fajita Spice Mix, and all of the sauce mix, and only ended up with 2 Fajitas out of it (so I still had 6 flour tortillas left at the end, but no more fillings). The product is easy to create. Coat chicken in fajita spice mix, cook, add vegetables, then put in a tortilla and cover in sauce. Straight forward and takes minimal time to prepare. In that regard, the product is great. 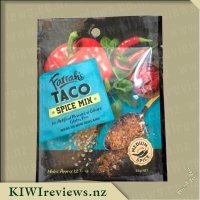 I would actually like the see the fajita spice mix and fajita sauces sold separately, so that I could have greater control over portion sizes, and wrap types and quantities. The 8 tortillas don&apos;t come in a resealable packet so they really are designed to be used all in the one meal, which as a single male (albeit a large overeating one) means I end up with these extra bits which I have to find another use for. Even if I did have portion control, the product is not suited for me as neither the sauce nor spices come in resealable packs either, so you have to use it all at the same time again. This is a meal that you would need multiple people looking for a snack. 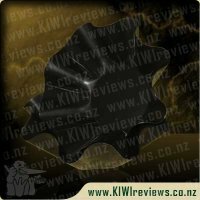 For what is there, the product is easy to use, and all of the packs are easy to tear open. 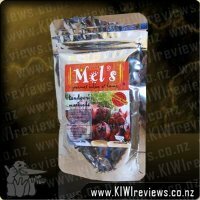 The heat of the spices is mild, as is advertised on the front of the pack, and the flavours were delightful. I&apos;m not really a fan of capsicums (in fact I detest them), so instead of capsicums, I used a bag of frozen vegetables, which included onion carrots and courgettes. Still, the meal was delicious. 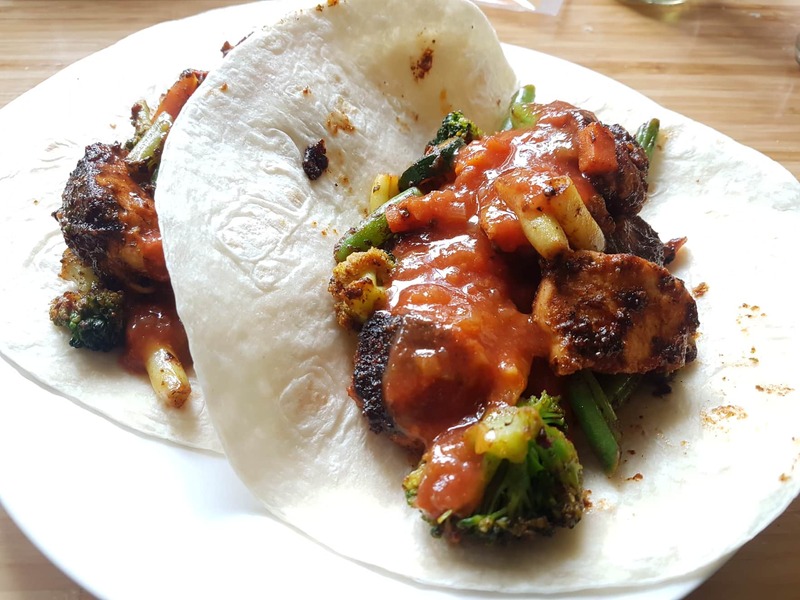 In all honestly, the sauce is a little overpowering, and the rich tomato flavour does take over the fajita spices, but one could argue that if capsicums were actually used, that that flavour would balance better with the overpowering tomato. I ended up coating the remaining flour tortillas with garlic butter and light layer of cheddar cheese to create makeshift cheesy garlic quesadillas. 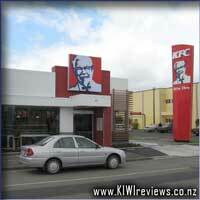 Much to my surprise, Miss Seven, who had arrived for a meal with her parents, absolutely loved this product. I had made a plain salad for her, but it was left untouched - I subsequently had it for my own lunch next day! I am not sure what I expected from the fajita spice flavouring, but I had assumed it would be much hotter. Instead, the mix was very mild and smooth; I could taste the coriander and cumin clearly as there were no other strong flavours to overwhelm them. As I love both these spices I was very happy about that. As for the tomato sauce, that too was mild - the predominant taste was tomato, and from the low acidity I suspect it was Roma variety or something similar. To ensure that everyone got as much or as little of each ingredient as they wished, I served up two tortillas for each of the adults with their own bowls so they could build their own. I had precooked chicken breast with the contents of the spice packet and some chopped red onion, reheated it just before serving, and divided it between the six warm tortillas. My plan was to do something else with the remaining two tortillas. 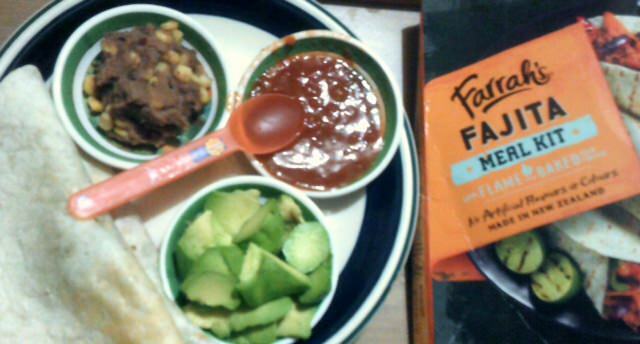 Each person also got three bowls with sauce, sliced avocado, and a mixture of refried beans and whole kernel corn. 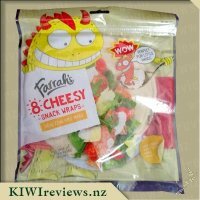 Having made up our wraps, we started to eat - but Miss Seven wanted to taste her mother&apos;s. That was unfortunate; we all had to unwrap our tortillas again and spoon some chicken mixture into a spare wrap for her! The quantity was perfect. Two each was just right for the three hungry adults while Miss Seven managed to finish hers, having done the rounds of all our bowls so she could try the extras! The consensus was unanimous; everyone enjoyed them, and they went home armed with the empty cardboard box so that they could buy them again - that was Miss Seven&apos;s idea! Apart from anything else, she loves the idea of finger food which can be eaten informally, and she declared that she was going to cook them herself once they had purchased their own packet. Next day, I had one leftover tortilla instead of the two I had planned for, but luckily I had Miss Seven&apos;s discarded salad as well! I toasted the tortilla on both sides over a hot pan, and then served it with scrambled egg on top. There was a small amount of tomato sauce left so I decorated the egg with that. With the salad, that made a very tasty lunch. I normally serve scrambled egg on toast, but the tortilla base was delicious and something I would do again. 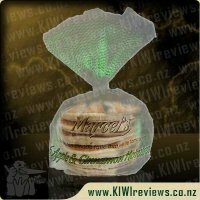 I will buy this product again although I would like to see the tortillas in a resealable inner bag so they stay fresh. My single tortilla was still fresh next day but as the bag had been opened I am not sure how long it would stay that way without drying out. For two of us I would probably halve the quantities and store the remainder of the spice packet and the tomato sauce in sealed boxes in the fridge, but I have successfully stored other Farrah&apos;s wraps for some time in their own bags. For the times when there are just two of us for dinner, this would be useful. Mild, slightly sweet cheese dusted in sea-salted superfood - dried Wakame kelp flakes.